Soup is just what the doctor ordered, so here’s one of my favorites. 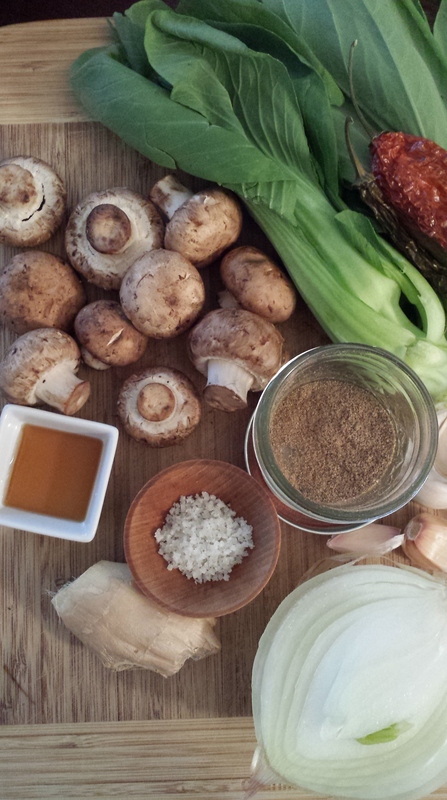 The probability is high that these particular spices and vegetables make this a Thai soup, but what do I know? I’m more Italian than anything. This soup could be subtitled “good for what ails you” just like my last post, because, let’s face it, if you are ailing and you aren’t eating food that is good for what ails you, how do you think you’re ever going to stop ailing? That’s the logic my experience has led me to follow, anyway. The point is: soup! As my favorite failed nun/guitarist Maria Von Trapp said circa 1940, “Let’s start at the very beginning.” Heat up some coconut oil on medium-high in a large pot. 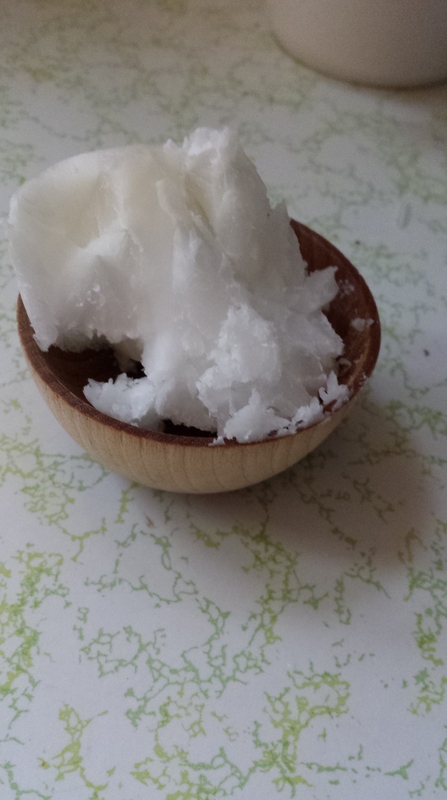 Coconut oil, in addition to its many health benefits, has a high smoke point and can withstand cooking at higher temperatures while maintaining its nutritional integrity. It’s also a perfect flavor to implement in Thai cooking. Add three thinly sliced chicken breasts to the pan and, when they’re no longer pink, add a diced large onion. When the onion is soft, add two cups of sliced crimini mushrooms (Oh, the magnesium! The vitamins! The buttery, nutty, mushroomy taste! Ours is a mushroom-loving household.) 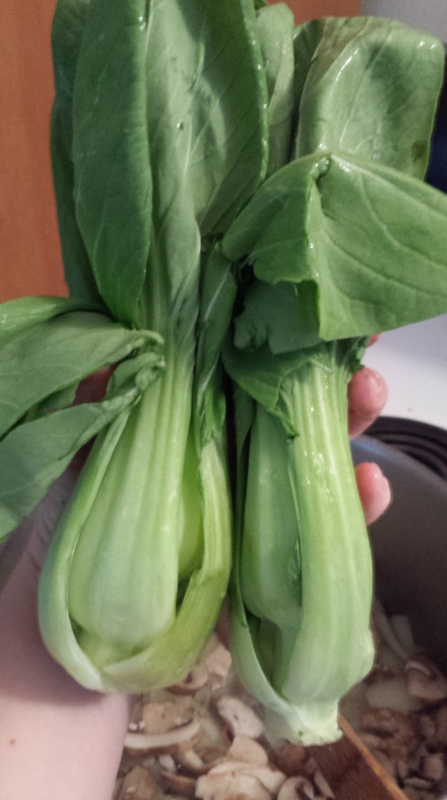 Once the mushrooms have released their juices and you can smell them, add some chopped baby bok choy. They are just so cute. I want to name them. 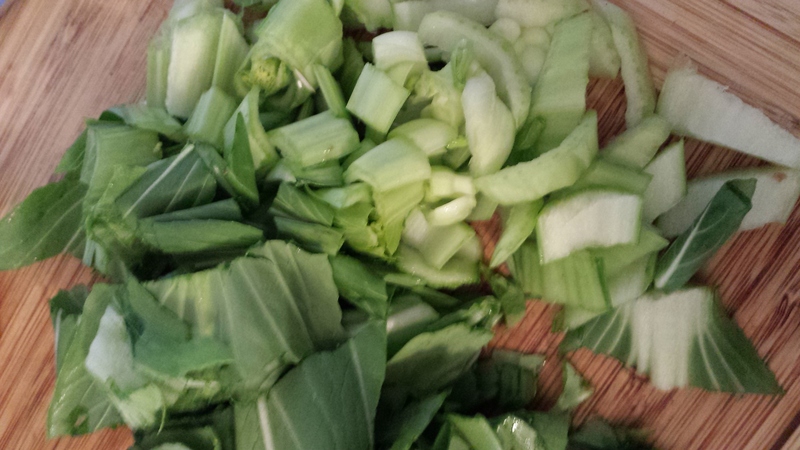 As the bok choy cooks, peel and mince six garlic cloves and about 1.5 inches of ginger root. Throw in those aromatics, along with a teaspoon of fish sauce, a tablespoon of celtic sea salt, two chopped dried hot peppers (I got mine in a mixed bag from the English dried chile guy at the farmers market. The guy is English, not the chiles. ), two teaspoons of coriander powder, and a quarter of a lemon’s worth of lemon juice. 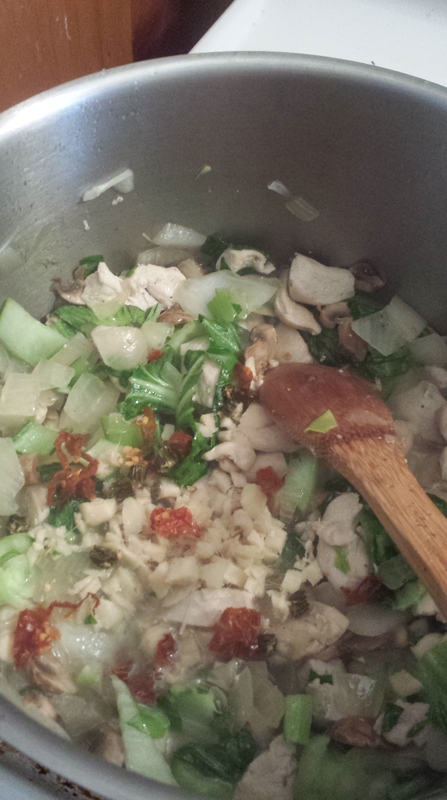 Once all those goodies are incorporated, add a can and a half of full-fat coconut milk (because that’s how much I had on hand) and four cups of chicken broth – homemade is best if you have it. Bring the soup to a boil, then back down to a simmer, and then try to eat just one bowl. Just kidding. Saute the chicken in coconut oil over medium heat. When it’s no longer pink, add onions and cook until soft, then add mushrooms and cook until they’ve “released their liquid.” Add chopped baby bok choy, then add garlic, ginger, fish sauce, chiles, lemon or lime juice, coriander, and salt. 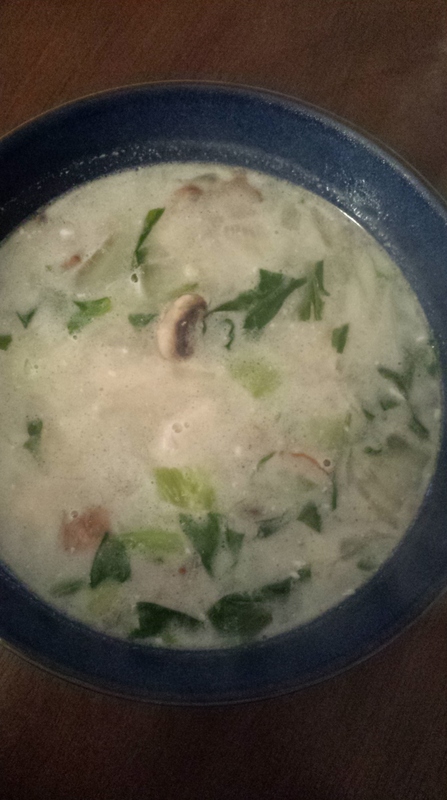 Cook until the dried chiles have softened, then add the coconut milk and chicken broth and bring just to a boil. Reduce the heat and enjoy. P.S. I was so in the mood for avocado, so I added diced avocado as a hearty garnish. The creaminess cut the heat of the chiles just enough to please my tastebuds. Maybe it’s not authentic Thai that way, but like I said – I’m Italian. Try it and let me know what you think! 05 Apr	This entry was published on April 5, 2014 at 4:05 am and is filed under Collection. Bookmark the permalink. Follow any comments here with the RSS feed for this post. YUM! Come over with leftovers…quick – before Joe gets home!